Data losses are known to be troubling humanity for as long as data existed. Everyone from an average computer user to an IT expert faces the issue of data loss through several ways like hard disk crash, OS formatting and so on. As I said early, data loss can be caused due to various reasons, one of which is partition loss. For those of you who don’t know, partitions are the different drives you create on your computer when installing OS. On a typical Windows computer, they are named as Local Disk (C :), Local Disk (D :), and more depending on the number of drives. However, partition losses are a problem that has yet not been solved by technology. 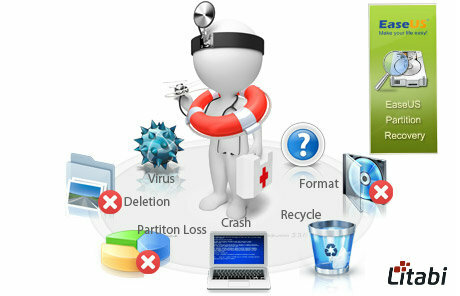 EaseUS Partition Recovery Wizard is one such tool that helps you in recovering a lost partition. Let’s get to know more about it. Data recovery is a thing that exists but people are reluctant to give it even a try as the process is usually a complicated one. However, that is not the case with EaseUS Partition Recovery Wizard. The tool is very easy to use that makes it the ideal choice even for people who are using it for the first time. The UI is very user-friendly and takes no time getting used to. Not only is the recovery wizard easy to use but loaded with powerful recovery features as well. The tool lets you recover whole partitions and not just selected files at just a click. Just launch the tool, select the lost partition and another click will restore it. Worrying about file compatibility? The application supports FAT, NTFS, HFS, HFS +, HFSX, Ext 2 and Ext 3 partition which covers almost everything. You can download the EaseUS Partition Recovery Wizard for free by heading to their homepage. You can also try out the EaseUS Data Recovery Wizard, which you can use to recover any data from your computer as well as external storage devices such as SD card recovery. The All-in-one partition manager software is available for free. You may try its paid version as well. It is well-suitable for home, office and business purposes, Also, no matter whether you’re a Windows or Mac user, you may use the different versions of this user-friendly partitioning tool that comes with great functionalities. You may accidently delete your partition files. And you may even lose those files through, virus attacks and OS reinstallation. So, you should have a better option to recover the deleted partition files. Here comes the EaseUS Partition Recovery Wizard handy for you to recover the original data in a safe manner. It is more likely to restore the lost data from hard drives and USB drives as well. 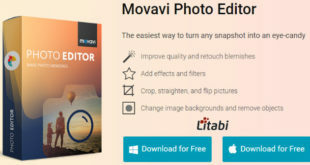 Its latest version has some improved features and bugs fixed. What do you think about this excellent tool to bring back the lost partition files? Do you have any bad experience with data corruption? Free feel to share your thoughts in the comment section.